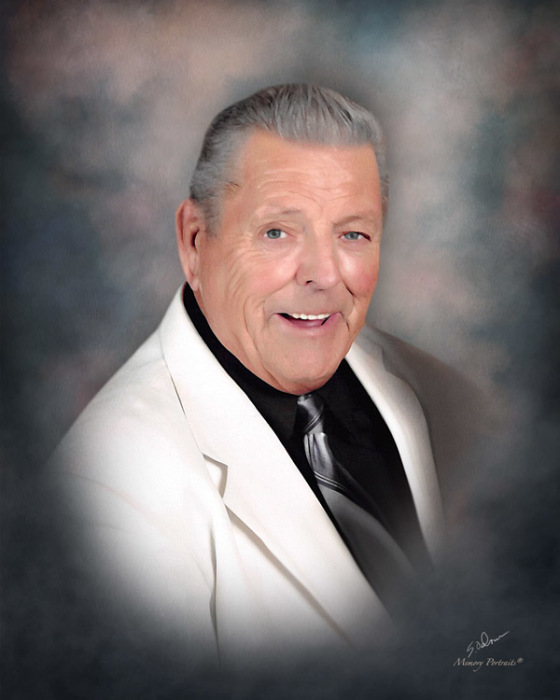 John Henry Hall, age 69, of Evansville, IN, passed away at 8:00 p.m. on Tuesday, April 2, 2019. John was born August 20, 1949, in Evansville, IN, to John E. and Grace M. (Jordan) Hall. John was saved at the Pentecostal House of Prayer in 1985. Most recently, he attended Pentecostal House of Faith. John’s greatest love was attending church where he enjoyed singing and preaching. He was a self-employed Landscape Contractor for 35 years. John was an outdoorsman who loved fishing and hunting. He was a veteran of his own right known for his strong will and dependability. John will be forever cherished as a great husband, father and grandpa. John is survived by his wife, Beverly (Shelton) Hall; daughter, Nancy Lee Hall of San Antonio, TX; sons, Christopher Bradley and Jeffrey Ray Hall, both of Evansville, IN; step son, Brandon Lee Gilles (Melissa “Missy” Green) of Evansville, IN; brothers, Roy Lee (Carol) and Jesse (Viola) James; grandchildren, Jeffrey Hall, Jr., Kristina Marie Hall, Destiny Marie Hall, Kyle Lee Hall, Natalie Ray Hall, Samantha Honor, Michael Barnett, Kalvin Hall, Chadrick Ray Goodall, Melinda Goodall; and 9 great grandchildren. He is preceded in death by his parents and brother, James E. Hall. Funeral Services will be held at 4:00 p.m., Sunday, April 7, 2019 at Boone Funeral Home East Chapel – A Family Tradition Funeral Home, 5330 Washington Avenue with Brothers Randy Evans and Mark Carter officiating. Burial will be at 3:00 p.m., Friday, April 12, 2019 in Oak Hill Cemetery. Friends may visit from 12:00 p.m. until 4:00 p.m., Sunday, April 7, 2019 at BOONE FUNERAL HOME EAST CHAPEL.